1 A None No Power Seat 1 A is an Economy Class Bulkhead seat with restricted legroom. The close proximity to the lavatory and galley may be bothersome. The tray table is in the armrest, making the armrest immovable and slightly reducing seat width. There is no floor storage for this seat during take-off or landing. 1 B None No Power Seat 1 B is an Economy Class Bulkhead seat with restricted legroom. The close proximity to the lavatory and galley may be bothersome. The tray table is in the armrest, making the armrest immovable and slightly reducing seat width. There is no floor storage for this seat during take-off or landing. 1 C None No Power Seat 1 C is an Economy Class Bulkhead seat with restricted legroom. The close proximity to the lavatory and galley may be bothersome. The tray table is in the armrest, making the armrest immovable and slightly reducing seat width. There is no floor storage for this seat during take-off or landing. 1 D None No Power Seat 1 D is an Economy Class Bulkhead seat with restricted legroom. The close proximity to the lavatory and galley may be bothersome. The tray table is in the armrest, making the armrest immovable and slightly reducing seat width. There is no floor storage for this seat during take-off or landing. 1 E None No Power Seat 1 E is an Economy Class Bulkhead seat with restricted legroom. The close proximity to the lavatory and galley may be bothersome. The tray table is in the armrest, making the armrest immovable and slightly reducing seat width. There is no floor storage for this seat during take-off or landing. 1 F None No Power Seat 1 F is an Economy Class Bulkhead seat with restricted legroom. The close proximity to the lavatory and galley may be bothersome. The tray table is in the armrest, making the armrest immovable and slightly reducing seat width. There is no floor storage for this seat during take-off or landing. 11 A None No Power Seat 11 A is a standard Economy Class seat that has no recline due to the exit behind. 11 B None No Power Seat 11 B is a standard Economy Class seat that has no recline due to the exit behind. 11 C None No Power Seat 11 C is a standard Economy Class seat that has no recline due to the exit behind. 11 D None No Power Seat 11 D is a standard Economy Class seat that has no recline due to the exit behind. 11 E None No Power Seat 11 E is a standard Economy Class seat that has no recline due to the exit behind. 11 F None No Power Seat 11 F is a standard Economy Class seat that has no recline due to the exit behind. 12 A None No Power Seat 12 A is a standard Economy Class seat that has extra legroom due to the exit in front but may also have limited recline. 12 B None No Power Seat 12 B is a standard Economy Class seat that has extra legroom due to the exit in front but may also have limited recline. 12 C None No Power Seat 12 C is a standard Economy Class seat that has extra legroom due to the exit in front but may also have limited recline. 12 D None No Power Seat 12 D is a standard Economy Class seat that has extra legroom due to the exit in front but may also have limited recline. 12 E None No Power Seat 12 E is a standard Economy Class seat that has extra legroom due to the exit in front but may also have limited recline. 12 F None No Power Seat 12 F is a standard Economy Class seat that has extra legroom due to the exit in front but may also have limited recline. 13 A None No Power Seat 13 A is a standard Economy Class seat that has extra legroom due to the exit in front. 13 B None No Power Seat 13 B is a standard Economy Class seat that has extra legroom due to the exit in front. 13 C None No Power Seat 13 C is a standard Economy Class seat that has extra legroom due to the exit in front. 13 D None No Power Seat 13 D is a standard Economy Class seat that has extra legroom due to the exit in front. 13 E None No Power Seat 13 E is a standard Economy Class seat that has extra legroom due to the exit in front. 13 F None No Power Seat 13 F is a standard Economy Class seat that has extra legroom due to the exit in front. 30 A None No Power Seat 30 A is a standard Economy Class seat in the last row of the aircraft. The proximity to the lavatories and galleys may be bothersome. 30 B None No Power Seat 30 B is a standard Economy Class seat in the last row of the aircraft. The proximity to the lavatories and galleys may be bothersome. 30 C None No Power Seat 30 C is a standard Economy Class seat in the last row of the aircraft. The proximity to the lavatories and galleys may be bothersome. 30 D None No Power Seat 30 D is a standard Economy Class seat in the last row of the aircraft. The proximity to the lavatories and galleys may be bothersome. 30 E None No Power Seat 30 E is a standard Economy Class seat in the last row of the aircraft. The proximity to the lavatories and galleys may be bothersome. 30 F None No Power Seat 30 F is a standard Economy Class seat in the last row of the aircraft. The proximity to the lavatories and galleys may be bothersome. IndiGo offers a selection of food and beverages for sale onboard which include wraps, sandwiches, and snacks, including vegetarian options. Juice, soft drinks and bottled water are available for purchase. Complimentary drinking water is offered on all IndiGo flights. 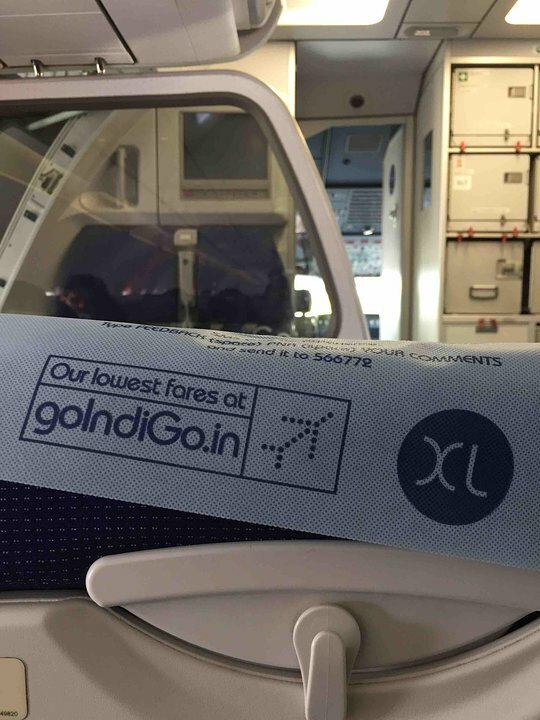 IndiGo flies the Airbus A320 with 180 seats in a one-class configuration of Economy. This aircraft has no in-flight entertainment. Emergency Exit Row seats cost extra to reserve. The new seats in indigo airlines provides poor back and thigh support. 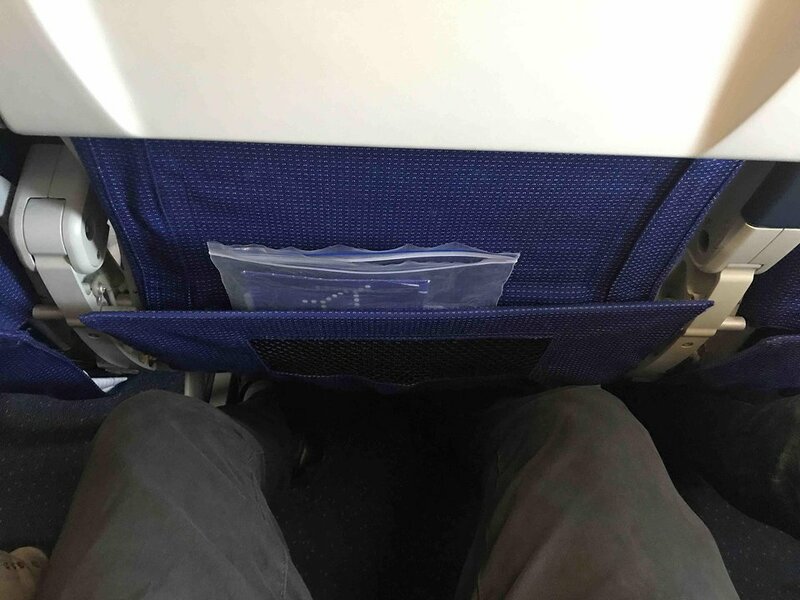 I wonder how much extra profit airlines make by installing such low quality seats . Before i dreaded to travel on air india express . Nowdays the conditions of all budget Carriers are the same. Great seats for a tall person like me, great room for the legs I can even cross them. And not very expensive to prebook. The existing information about the legroom in the first row is incorrect. 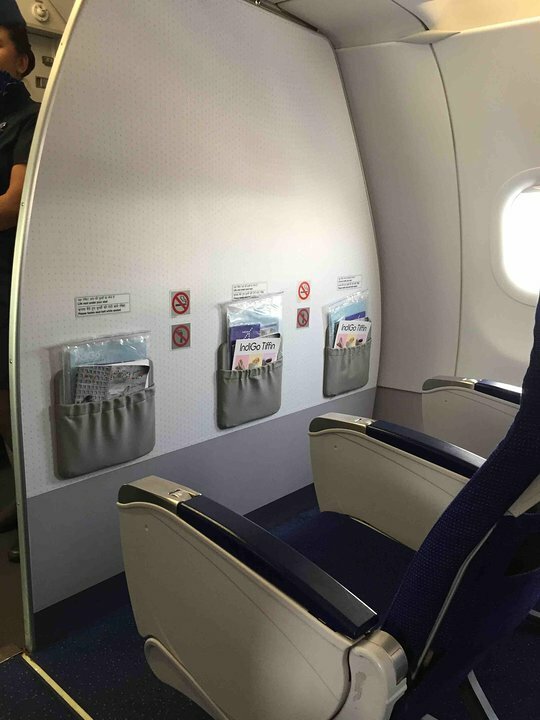 These seats have more legroom than any other seat on the plan and are sold by Indigo as premium seats. 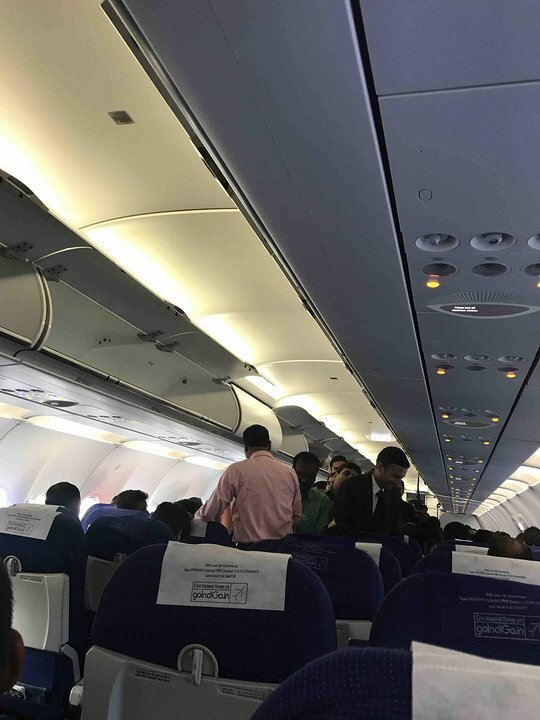 While the bathrooms and the galley are in close proximity, it isn't particularly bothersome as most Indigo flights are short-haul. I actually consider this to be a plus, as sitting here means I don't have to loiter awkwardly if the toilet is occupied when I need to use it; also, this row gets served first. As a frequent flyer I always prefer this row over any other row, as do others. There is extra legroom in the first row compared to what it says on the seat map. They even charge more for the first and thirteenth row. The seat was okay. But the legroom is somewhat less. It may be problematic for few. If you want more legroom then there are other seats too. You can ask the cabin crew and they will arrange for you. 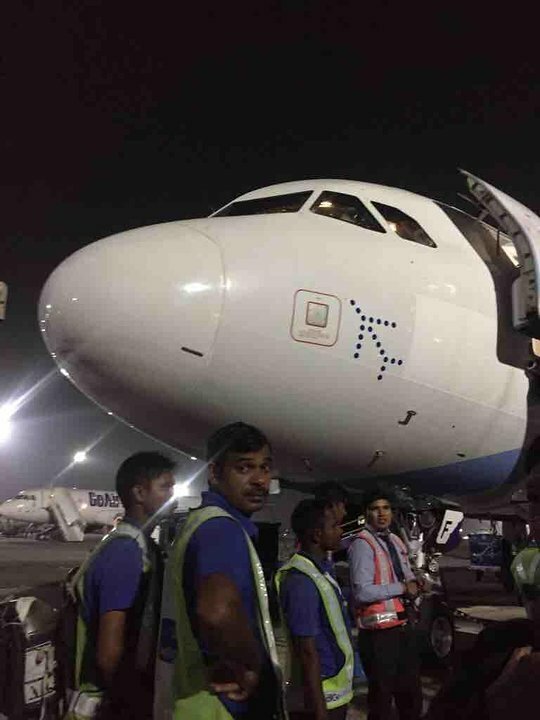 IndiGo Airlines flies 1 versions of Airbus A320.